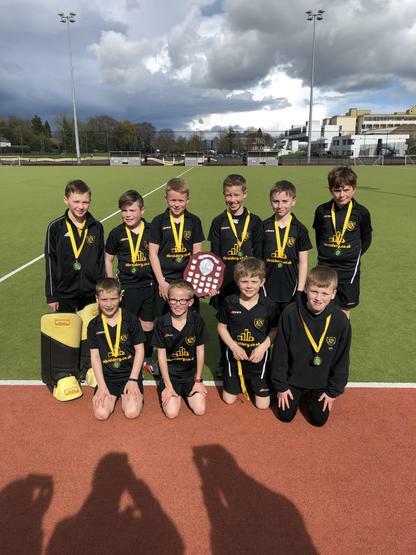 Congratulations to the boys’ hockey team who won their league title yesterday. The boys had qualified for the League Finals by topping their qualifying group. In the Finals we had to play Markethill and Seagoe. We drew 1-1 with Markethill and beat Seagoe 3-0. This meant that we finished with 4 points, Markethill 2 points and Seagoe 1 point. An excellent achievement by the boys and the perfect way to prepare for the NI Finals on Monday 8th April. The team would also like to pass on their thanks to ‘Mbroidery’, who have very kindly sponsored them and have provided the team with a fantastic new kit!